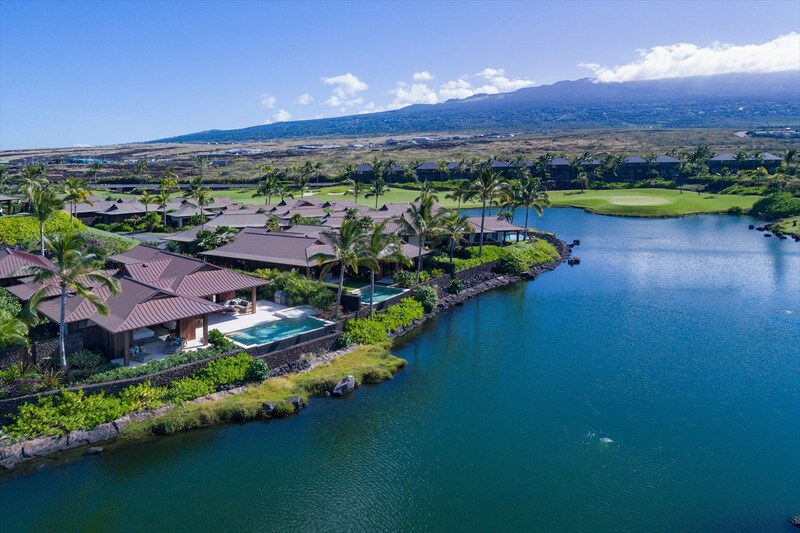 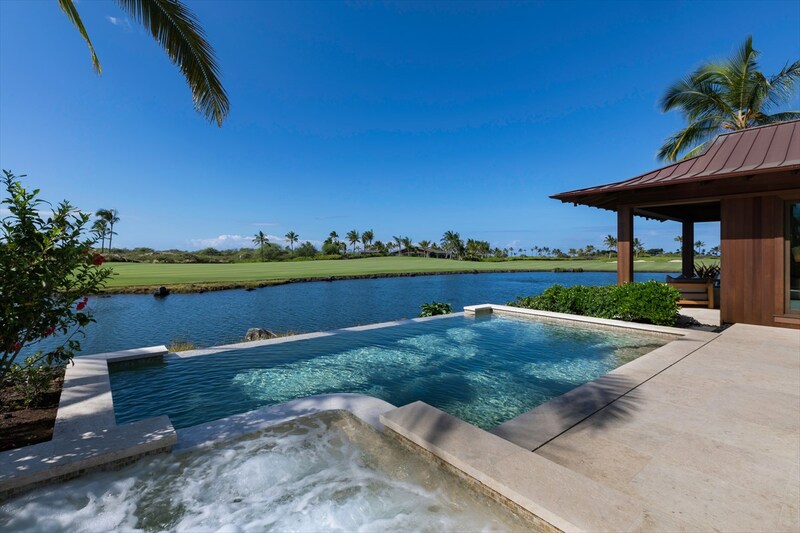 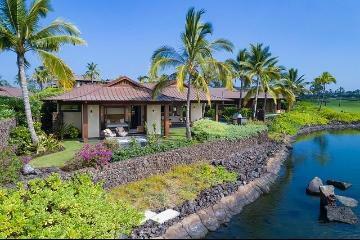 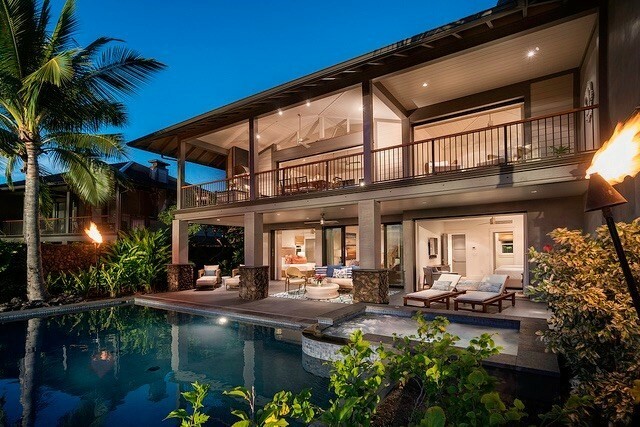 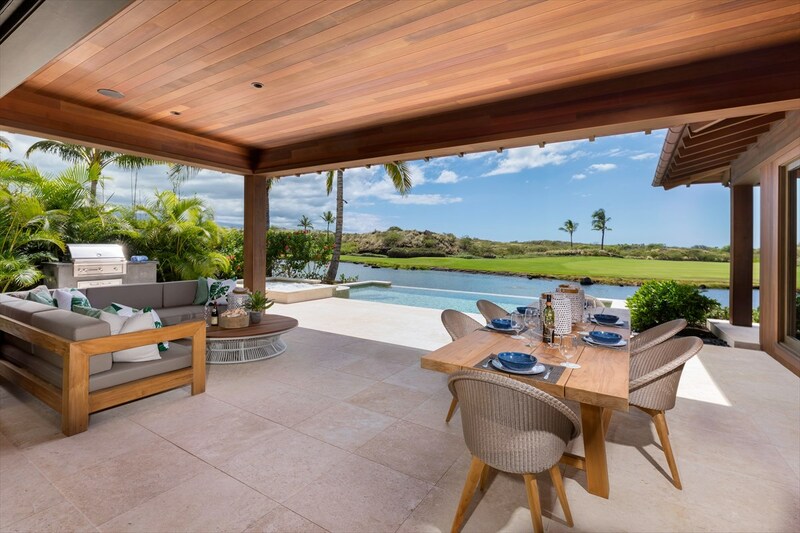 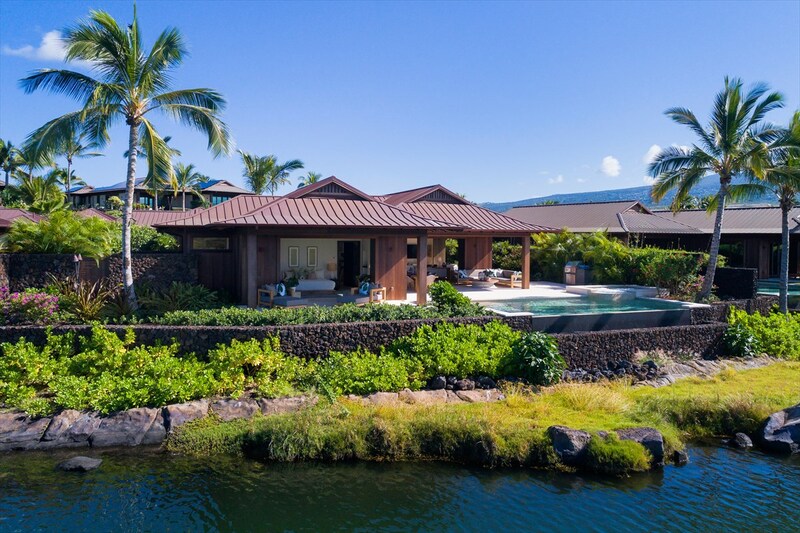 This lake front residence is located along the 8th fairway of Kohanaiki?s Rees Jones-designed golf course and has beautiful views of the Kaloko-Honokahau National Park. 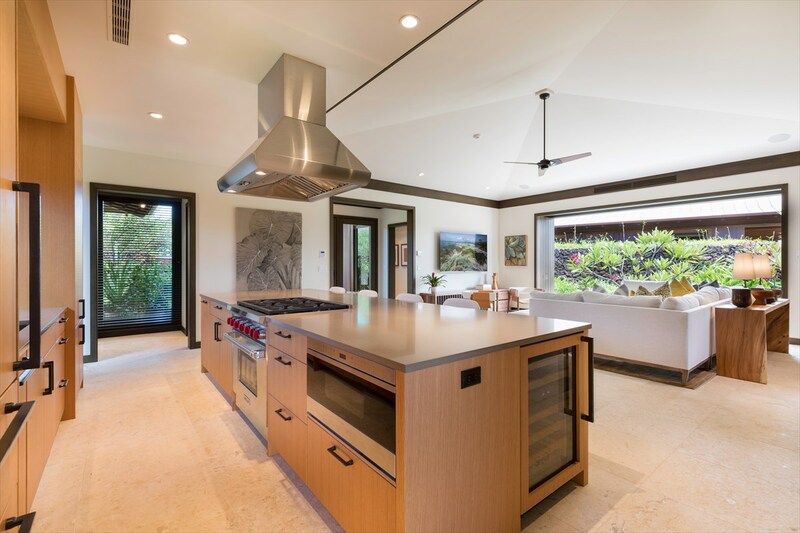 Khoi Le, of Glazier Le Architects designed the stylish, open-concept home with a great room and kitchen space perfect for entertaining. 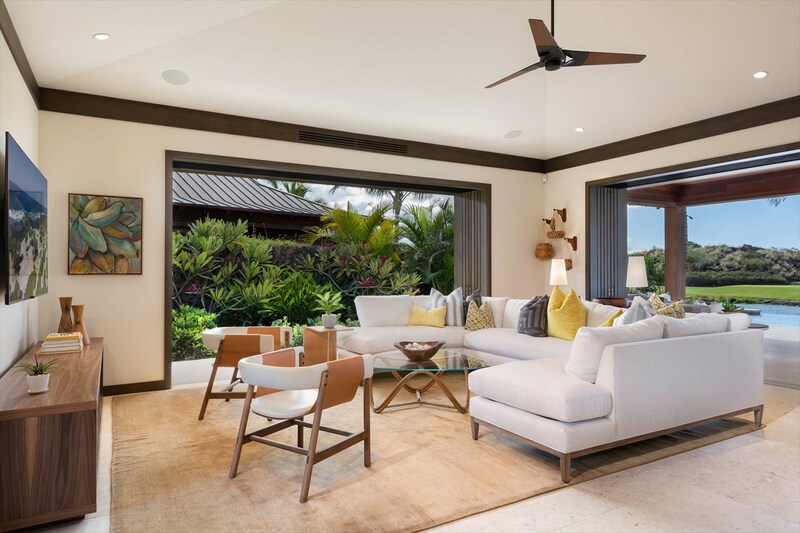 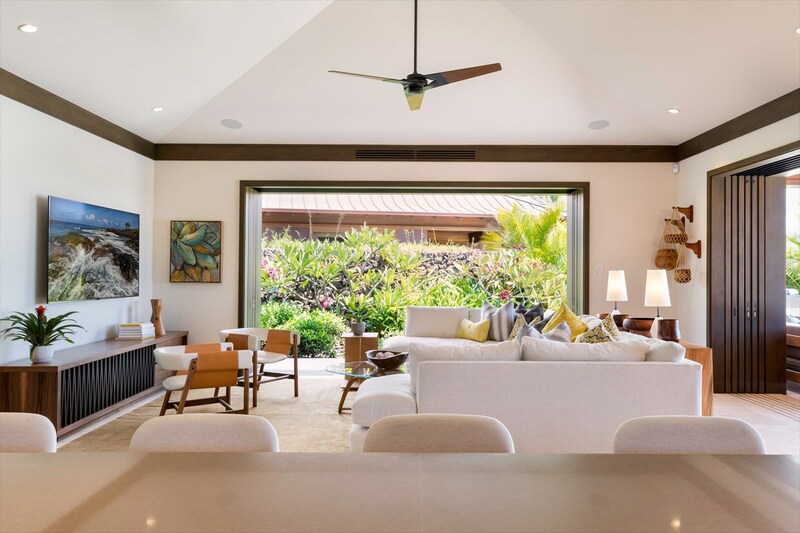 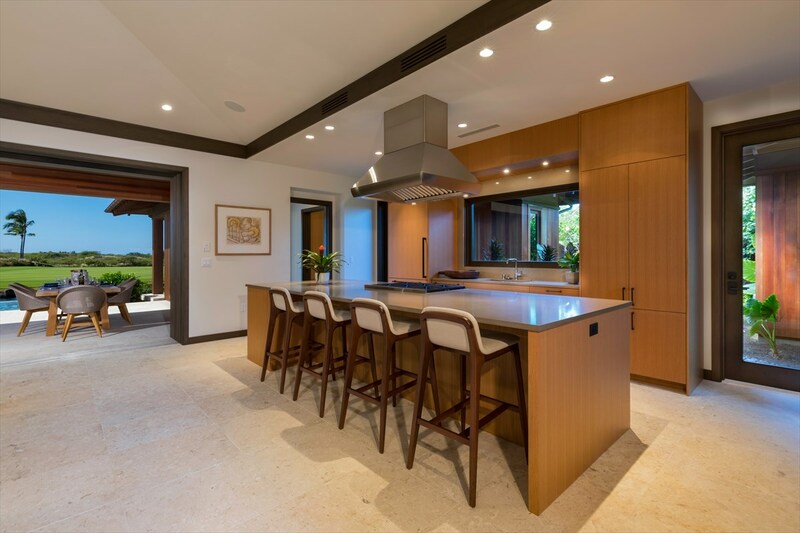 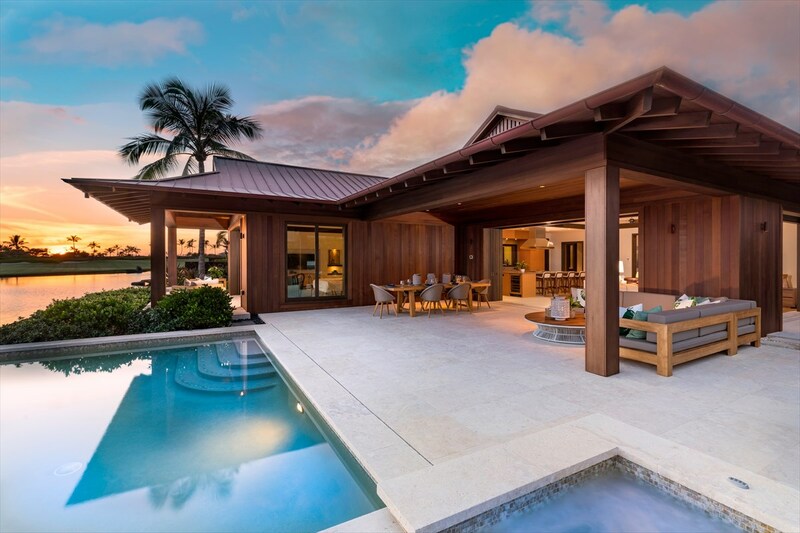 The custom pocket doors, open to the interior living space and expand out to the large covered lanai, pool and spa area for ideal indoor - outdoor living. 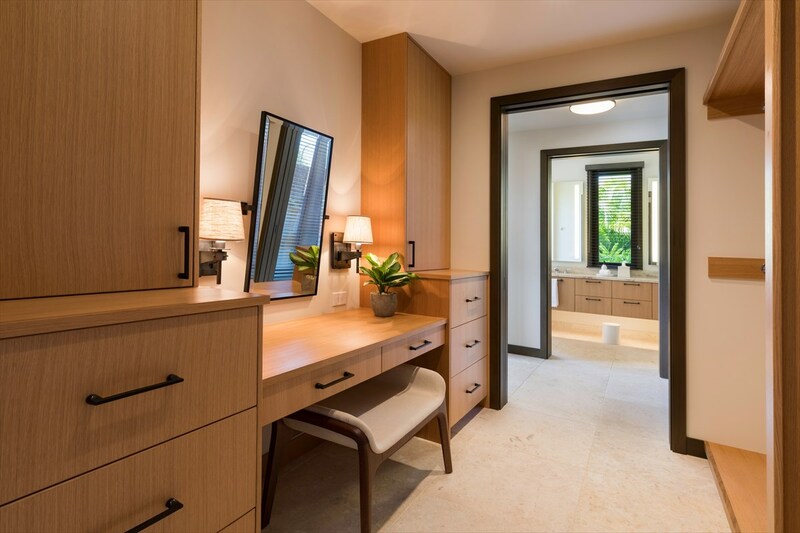 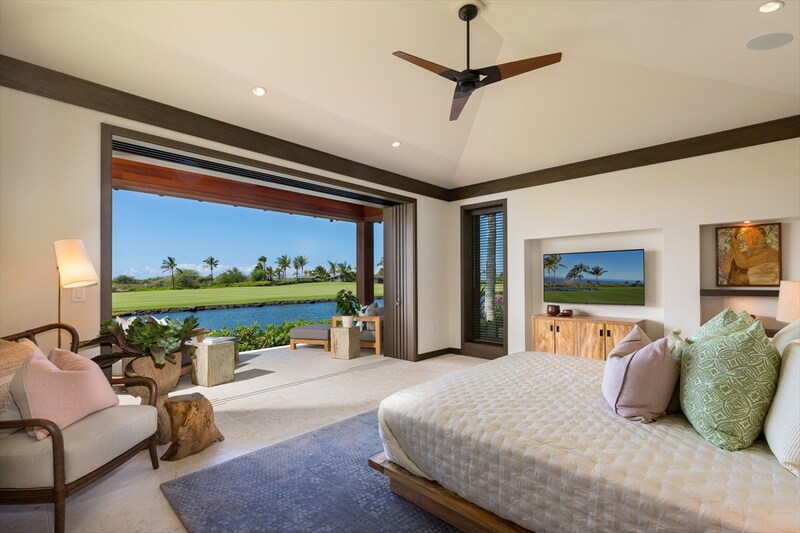 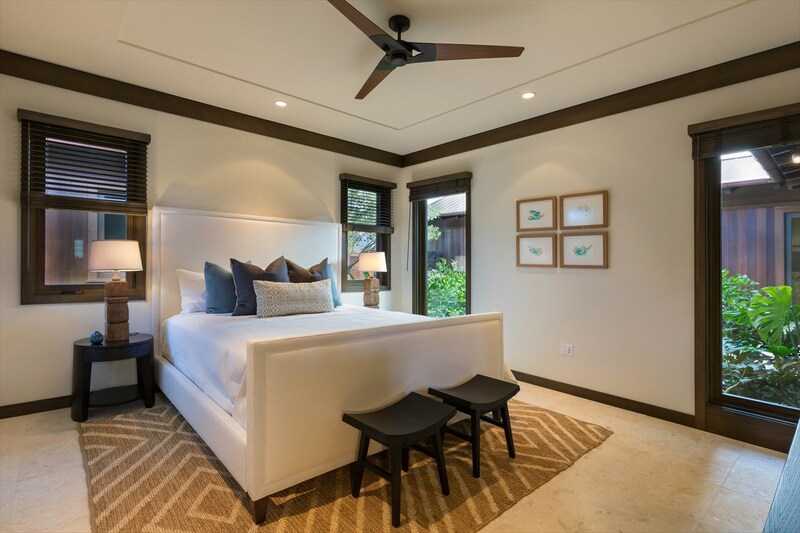 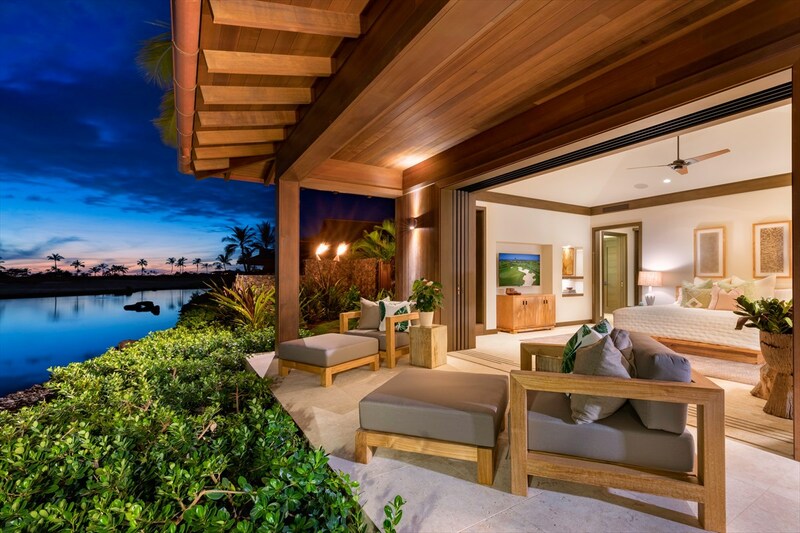 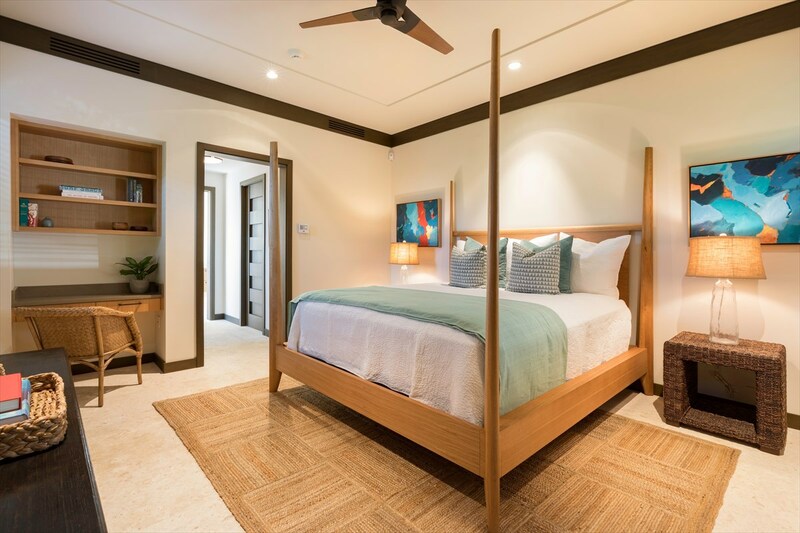 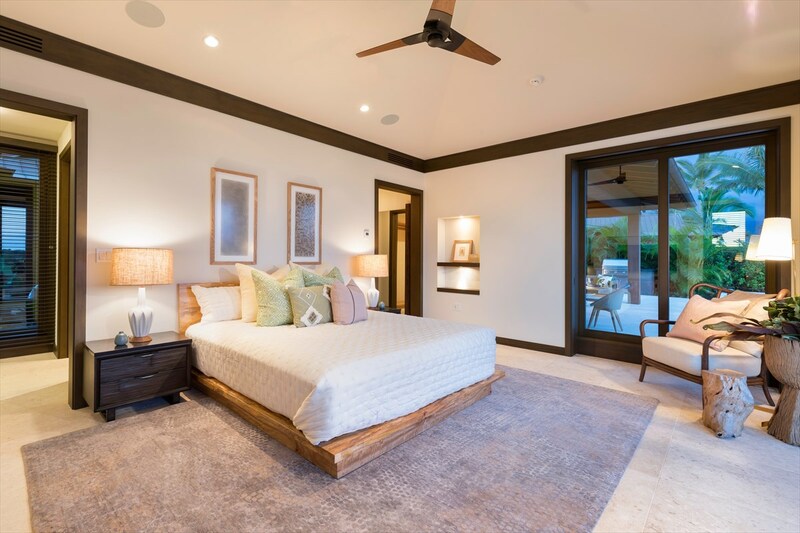 The master bedroom opens to the lanai with spectacular lake, golf course and National Park views and the bedrooms and ohana (separate guest house) are nicely separated for privacy. 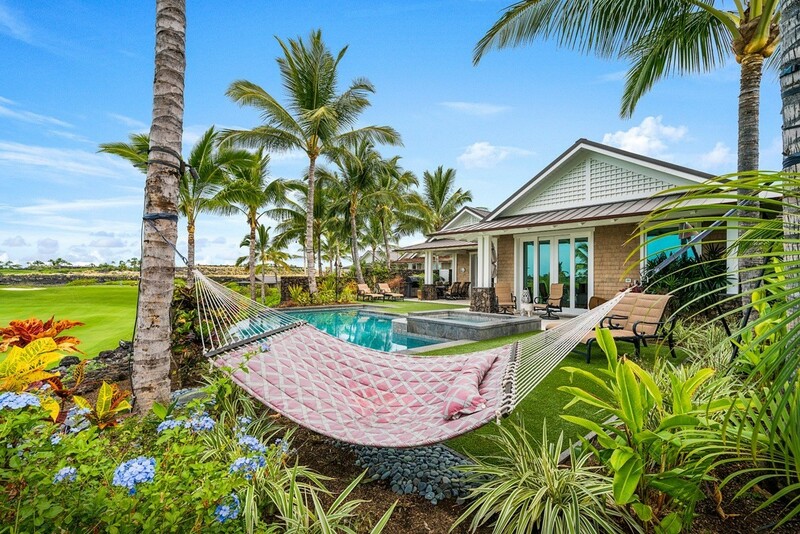 Home sold unfurnished. 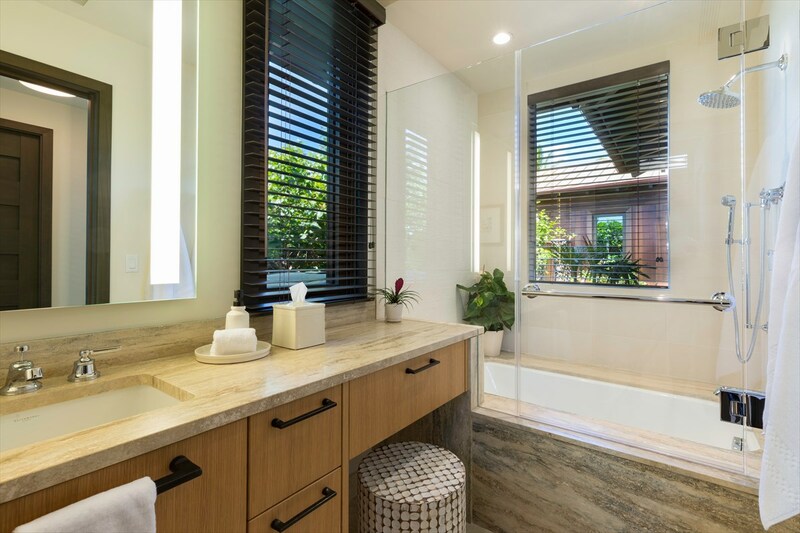 Furnishing Packages available on request. 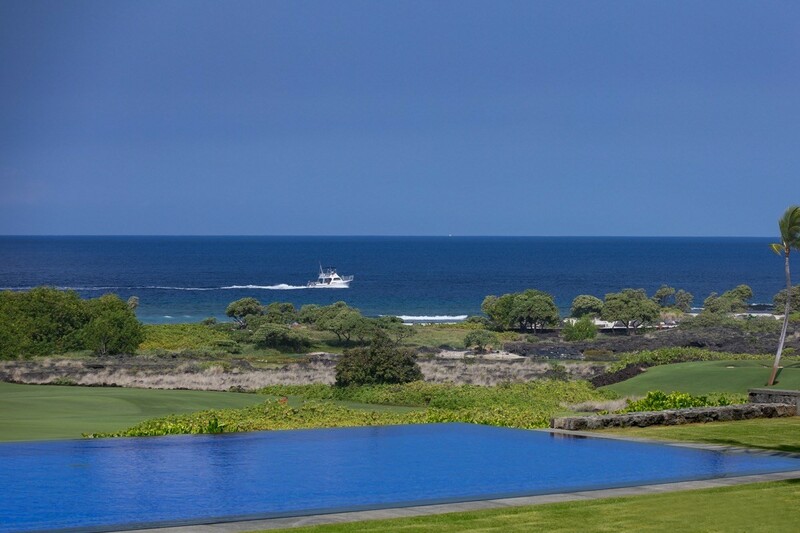 Kohanaiki is a private club community situated on roughly 450 acres of land with over a mile and half of shoreline that includes some of Hawai`i's best sport fishing grounds and one of the island?s finest surfing beaches. 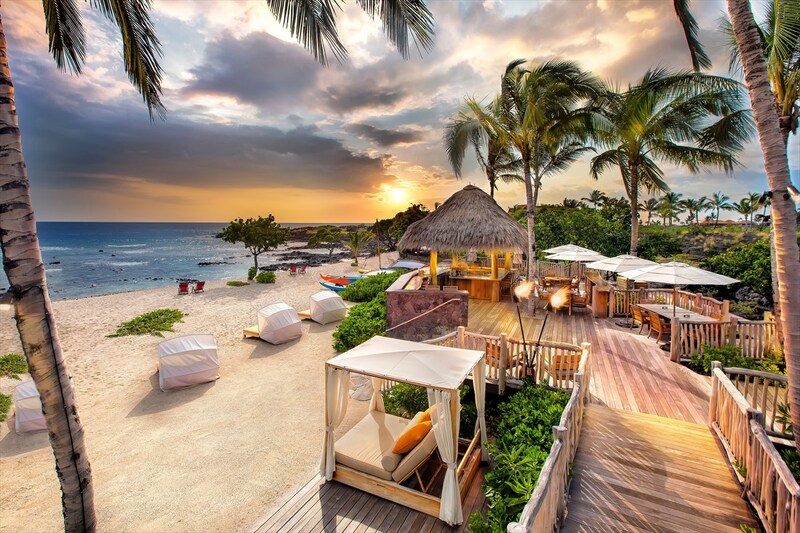 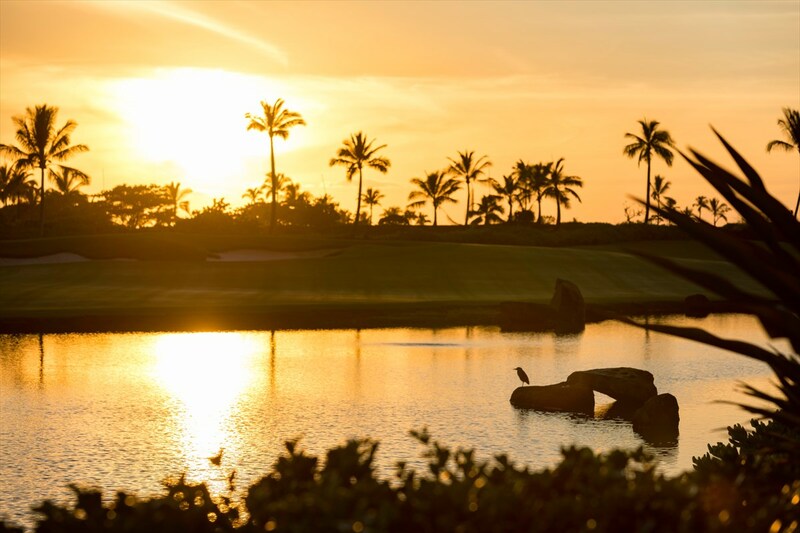 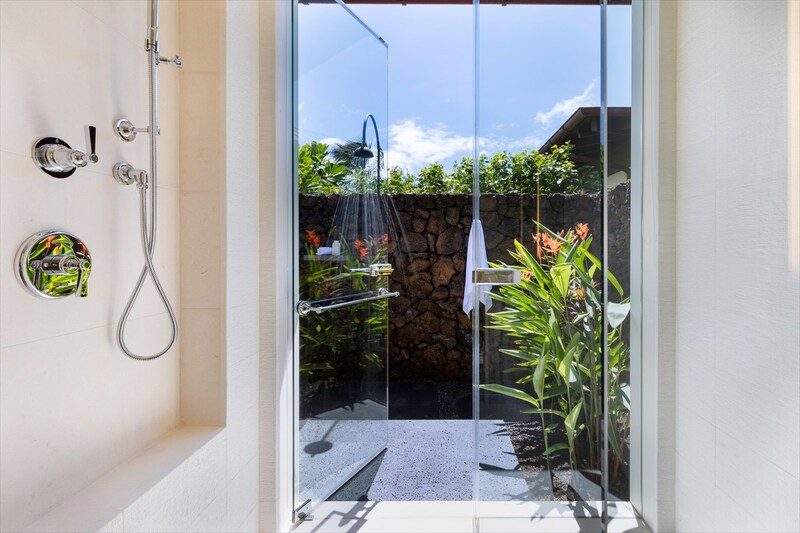 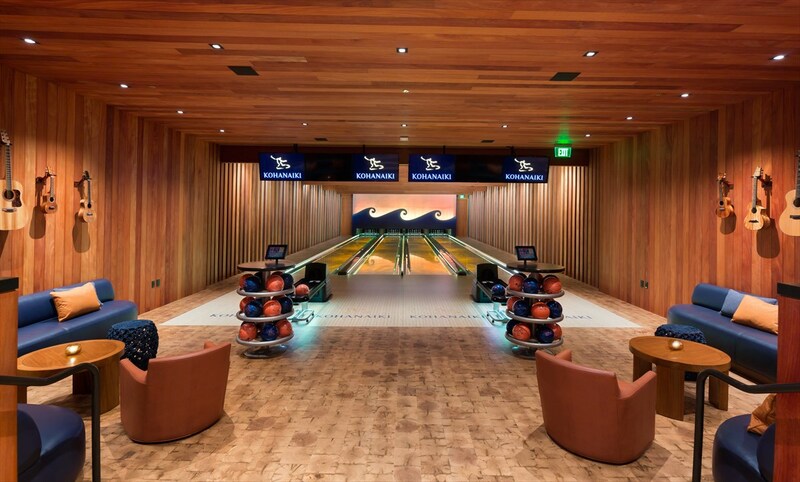 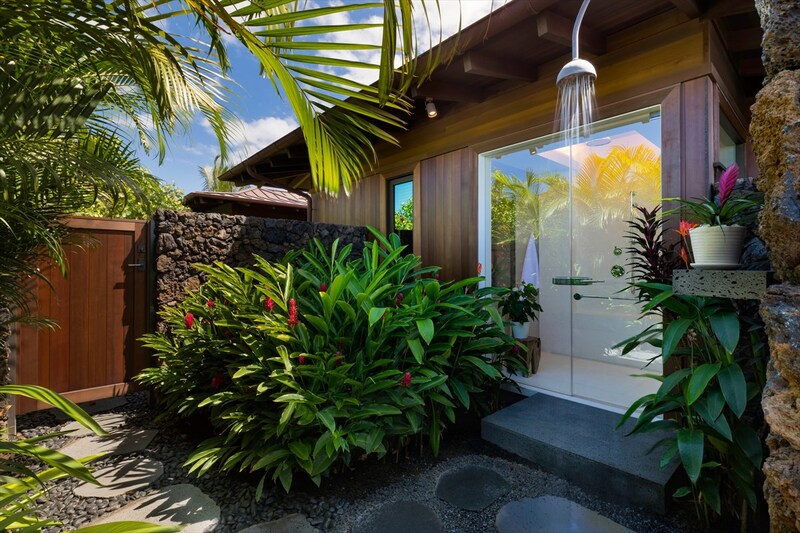 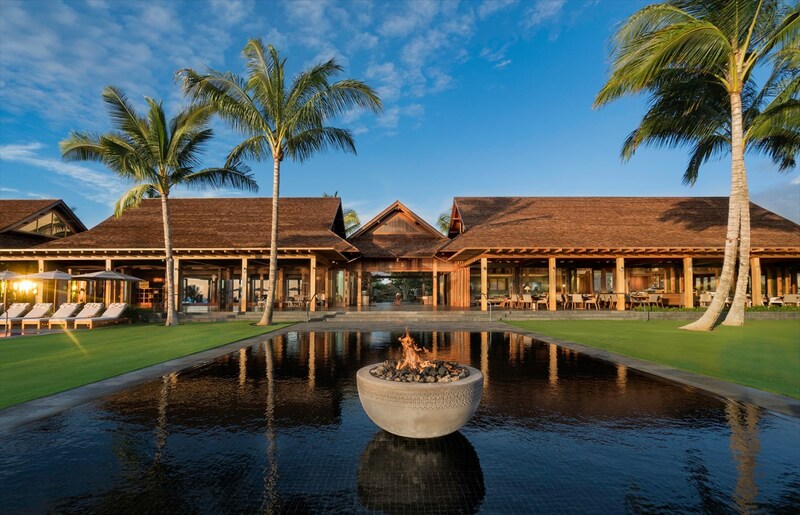 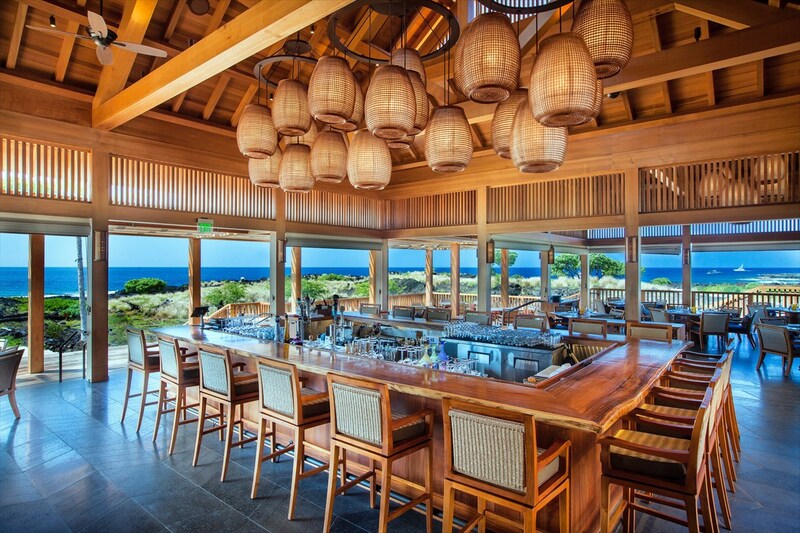 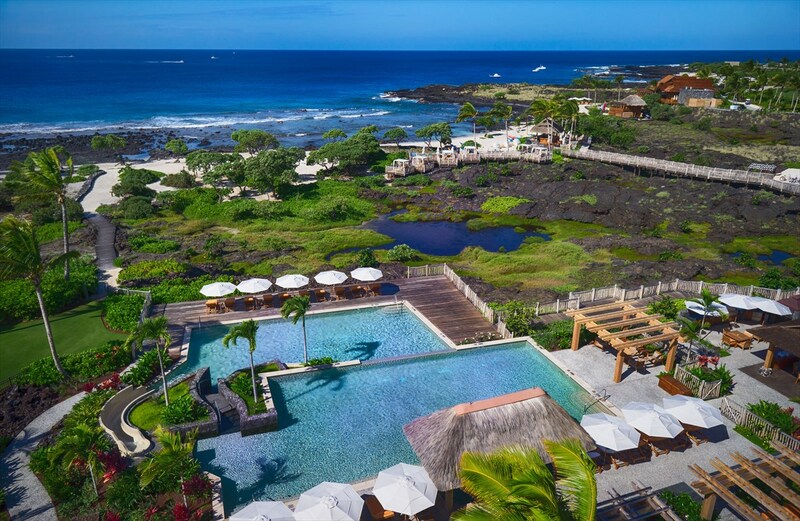 Remarkably different from its predecessors, Kohanaiki represents an evolution of the private club experience built around luxury, sustainability and world-class amenities. 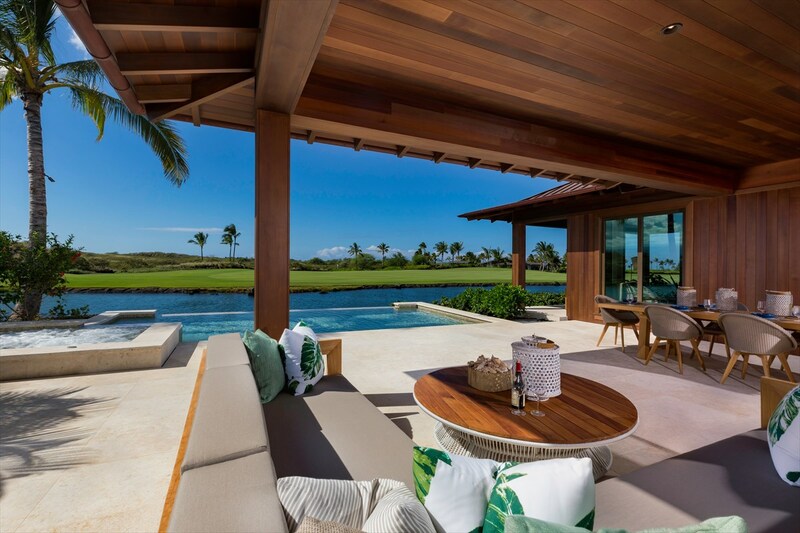 A Rees Jones designed golf course featuring six oceanfront holes, a 67,000-square-foot clubhouse and spa, an oceanfront Beach Club, Beach Restaurant and Bar are ready for your enjoyment. 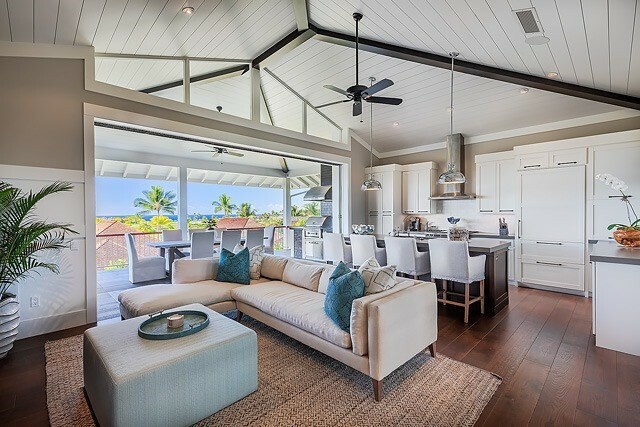 736250 Alani Loop, 12, Kailua-Kona, HI.